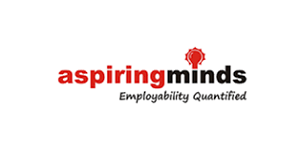 Aspiring Minds Computer Adaptive is a computer adaptive test which measures job applicants on critical areas like communication skills, logical reasoning, quantitative skills and job specific domain skills thus helping recruiters identify the suitability of a candidate. GITS have tie up with AMCAT for pre final year & final year B.Tech students. CoCubes.com is India’s largest assessment and campus hiring platform. They work with 450+ corporate across fresher’s and lateral’s, 2600+ colleges, and 1 million+ students through their platform running 500,000 assessments each year in 250+ cities. Thus everyday helping our corporate get greater control and transparency, helping our institutional clients measure and improve employability and helping students move ahead on their career path. Monster College™, a customized platform aiming to aid educational institutes with placement support and employ ability enhancing services. They endeavor to streamline the hiring efforts of companies; help them find right candidates and pave ways for recent graduates to explore new career opportunities. And they do this by bringing three entities i.e. Colleges, Students and Companies together. E-Litmus is a first-of-its-kind service in the world. Since it was launched in 2005, eLitmus has been redefining how fresher and entry-level recruitment is done in India.An extensive range of online tools that are provided by E-litmus, help recruiters to easily screen and select candidates based on this and dozens of other parameters. 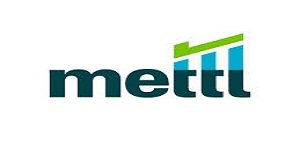 Mettl, India’s leading online skill assessment platform, has introduced an innovative new tool to its successful lineup. The company’s new case study simulator aims to bring case study methodology to online assessments. Testers can simply log on to the Mettl platform and participate in the treasure hunt, better described as the gamification of a business case problem, upon invitation from a participating company or institution.